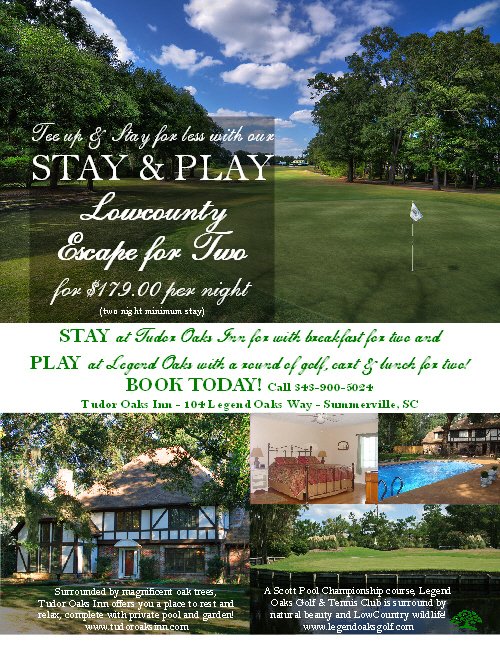 Tee up & Stay for less with our STAY & PLAY, Lowcountry Escape for Two! STAY at Tudor Oaks Inn with breakfast for two & PLAY golf at Legend Oaks with a round of golf and cart for two! Only $179 plus tax per night (two night minimum stay)! Make your reservations today by calling 843-900-5024.